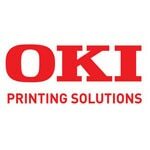 OKI manufactures printing solutions for businesses all over the world. Warranty services make it easy to ensure the right level of support. With clearly defined offerings, warranty services greatly simplify the process of choosing the right service, enabling even smaller companies without large IT staffs to ensure proper coverage. In addition to providing service early on, when support needs are typically higher, warranty services facilitate up front budgeting for service, eliminating unplanned for service expenses.